It’s Vegan Pizza Day, peeps! Did you hear me? VEGAN PIZZA DAY! VEGAN PIZZA DAY SHOULD BE EVERY FRAKKIN DAY OF THE GORRAM YEAR! See, I’m so excited that I’m intermixing my scifi slang. (Crossposted from the Perfect Pizza Press blog – which I’ve yet to tell y’all about, and where the recipes for each of these masterpieces will soon be posted. 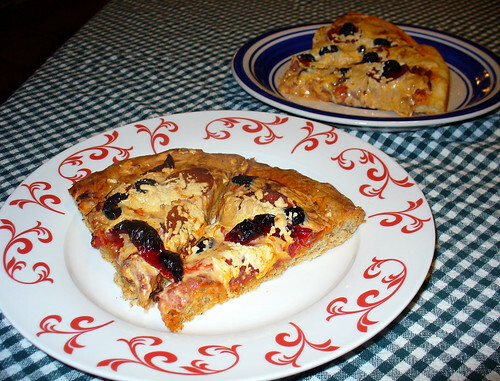 Updated to add: The recipe for Shane’s spicy hot pie – our entry in the Fiery Vegan Valentine Cooking Contest at Cook. Vegan. Lover. 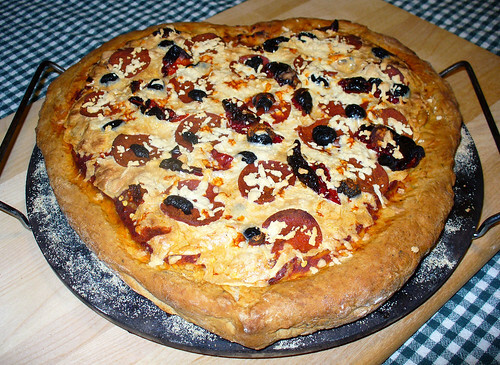 – is now up at the PPP blog: Shane’s Red Hot, Heart-Shaped Pizza: Eat it on Vegan Pizza Day, Valentine’s Day, or any old damn day! 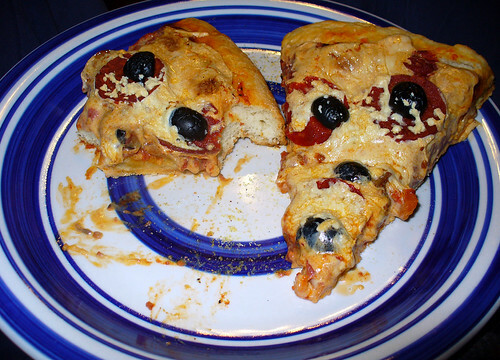 Update, redux: …and here’s the recipe for my pizza: Kelly’s Loaded Tomato Lover’s Pizza. Just call me the tomato monster, kay? This entry was posted on Saturday, January 29th, 2011 at 10:18 pm. You can follow any responses to this entry through the RSS 2.0 feed. You can leave a response, or trackback from your own site.